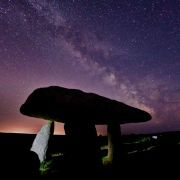 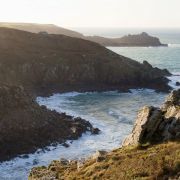 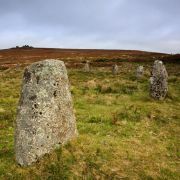 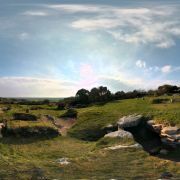 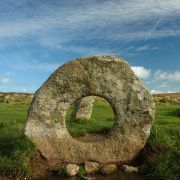 Located about a miles walk from Zennor on Amalveor Downs is Zennor Quoit. 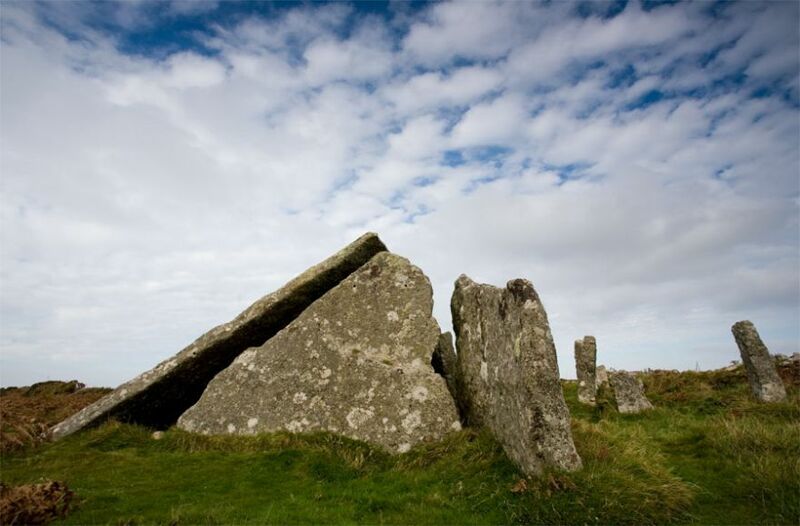 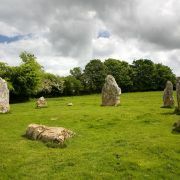 A large early Bronze Age burial chamber, with 7 upright stones and a humongous capstone weighing an estimated 12.5 tons. 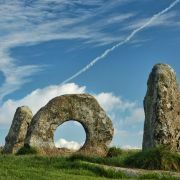 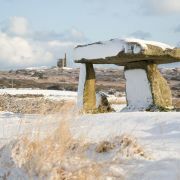 The triangular profile is the result of the quoit's collapse - originally the capstone would have rested on top of the uprights.